This is another one of those peaceable kingdom photos that teach us that we can have peace if we really want it, and work for it. 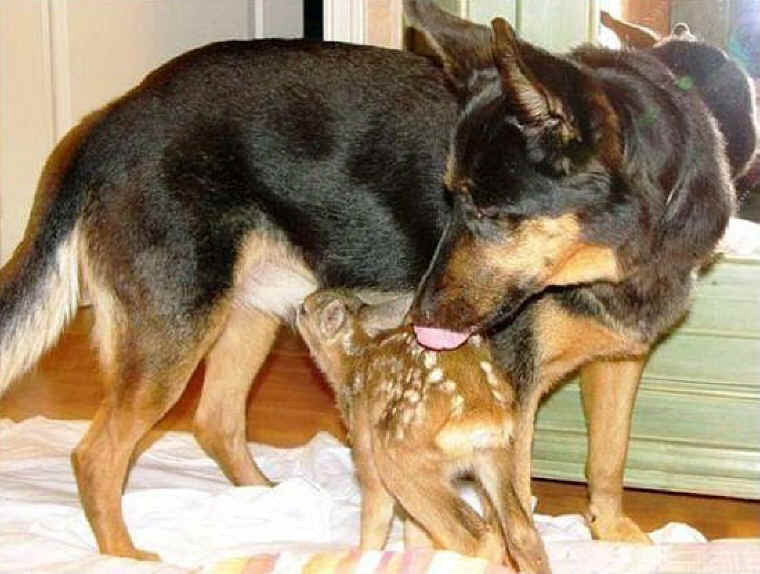 This dog has most definitely adopted this baby deer as her child, and by her actions, she demonstrates that she is filled with the knowledge of the Lord to a far greater extent than most human beings. For if, as a society, we did possess this knowledge, we would no longer kill our fellow human beings, nor the animals, nor destroy the environment in which we all live.